During NACUBO’s recent webcast—Funding the Transformation of the Modern Urban University—attendees learned about Drexel University’s physical transformation projects. The case study illustrated how universities can integrate third-party investments—as well as philanthropic and government funding—with institutional capital investment to expand academic, residential, retail, and mixed-use facilities. Speakers Joseph Campbell, senior associate vice president, administrative operations; and Jim Tucker, senior vice president, student life and administration, discussed the benefits and best practices related to selecting development partners. They also highlighted funding opportunities that may be available at the federal, state, and local level to further maximize university capital investments. The NACUBO 2016 Annual Meeting in Montréal, July 16–19, will give you the opportunity to contribute to the higher education conversation in a significant way. Share your campus success stories—as well as lessons learned—by submitting a proposal to present a session, panel, or interactive roundtable. Building on the theme “Les Fondations for the Future,” educational programming for the annual meeting aims to explore new models in higher education, while building on the strong foundations that have already been established. NACUBO invites you to propose a session that is relevant, innovative, and practical. Share with other business officers what your college or university has done differently to improve services or processes, operate more efficiently, or save money and resources. Focus on the strategies and approaches that resonate most with campus and/or community stakeholders. Take advantage of the opportunity to advance the conversation, network with campus administrators, and highlight best practices. The call for presentations will remain open until October 13. RESOURCE LINK For more information and proposal guidelines, view the Education page at www.nacuboannualmeeting.org. The launch of the Economic Models Project to assemble a foundational body of knowledge, through interaction with a full range of members, to identify key economic commonalities and differentiators among traditional campus operating models. The award of a grant from the Bill and Melinda Gates Foundation to assist higher education institutions in improving their credential completion rates for first-generation low-income students, by expanding understanding of and capacity for strategic finance. 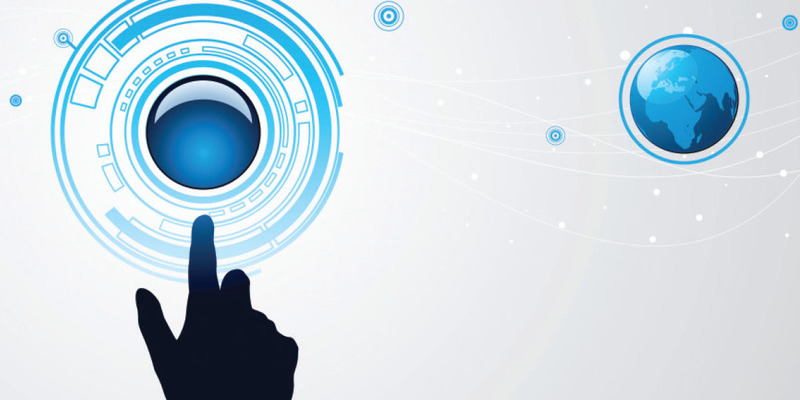 The work of three board ad hoc committees that addressed issues related to leveraging analytics to improve campus decision making, and developing messages about the value of higher education to both students and society. The board established new committees to assist in the development of programs and publications, which will address member needs in the area of succession planning and that will engage external stakeholders, including employers, in a discussion about their expectations for higher education. The board also discussed the process for developing a 2017–20 strategic plan. NACUBO CONTACT Bill Dillon, executive vice president, 202.861.2543. 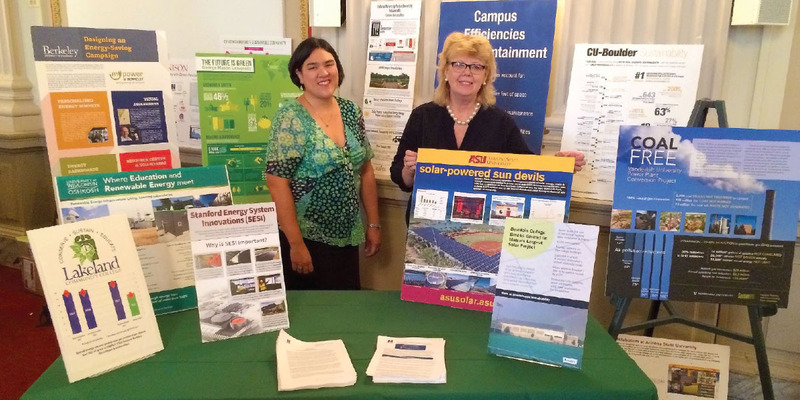 Photo: Displaying posters illustrating energy-efficiency efforts at colleges and universities, Liz Clark (left) and Sally Grans Korsh represented NACUBO at the Congressional Renewable Energy and Energy Efficiency Expo and Forum, July 9. NACUBO, along with 45 other organizations, took part in this year’s 18th annual Congressional Renewable Energy and Energy Efficiency Expo and Forum. The event, hosted by the Sustainable Energy Coalition—a group of 21 national business, environmental, and energy policy organizations that support aggressive development of renewable energy and energy-efficient technologies—showcased a cross section of relevant technologies and investments. The all-day event, held July 9 in Washington, D.C., featured presentations and speeches related to various energy-related issues, and NACUBO highlighted several campus efficiency posters, which member institutions submitted for display at the 2014 and 2015 NACUBO annual meetings. The posters represent each institution’s success in the areas of energy and sustainability on its campus. During the meeting, NACUBO staff members Liz Clark, director, congressional relations, and Sally Grans Korsh, director, facilities management and environmental policy, highlighted institutional investments in solar, geothermal, biomass, and other renewable options; reductions in water use; ways to improve the campus carbon footprint; and campaigns to engage students and faculty to reduce energy and water use and save operational costs. The illustrative posters were also used to explain the critical role that higher education plays in global energy-efficiency efforts. Attended by congressional staff members, elected officials, and other interested individuals, the event allowed NACUBO to help further its efforts to ensure that institutions of higher education are considered, as lawmakers explore federal energy policy options. As the only higher education group participating in the event, NACUBO represented the importance of colleges and universities as managers of multitudes of large facilities that consume huge amounts of energy, estimated at $6–7 billion dollars annually.